Great opportunity! 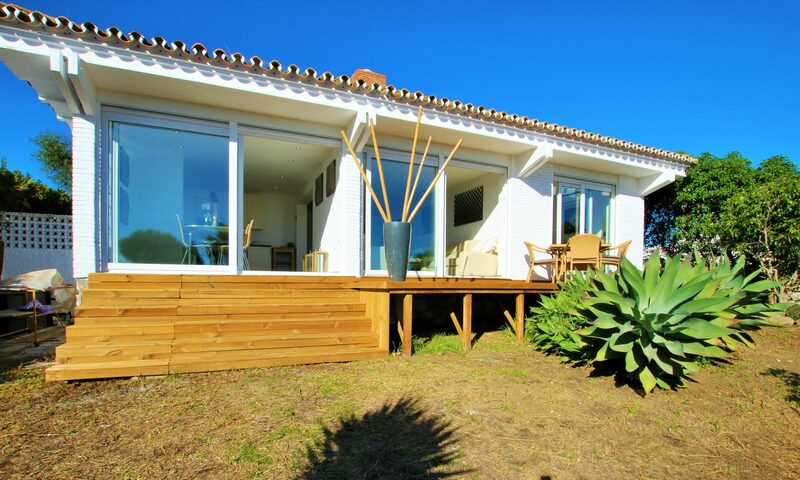 This modern villa is located on a private corner plot with sea views and only 700 metres from the beach! Its quiet location is lovely yet it is only 300 metres walk to the supermarket and restaurants. The property was originally built in the 1960’s and was one of the best houses around at that time! It has just been totally renovated in a contemporary style with good taste. The villa is laid out on one level, with an ample lounge and open plan kitchen The house has three bedrooms, two en suite bathrooms and a WC. 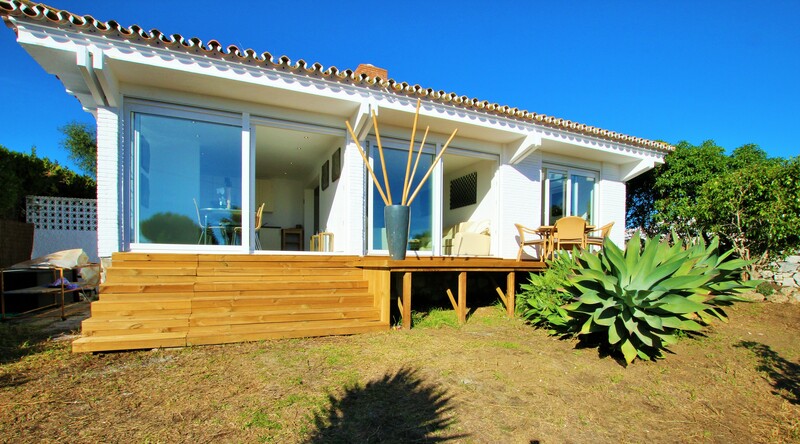 The living room and master bedroom both have access to a wooden terrace that leads out to the large garden with sea views and pool with a garage at the end of the plot. The pool is currently being refurbished and the garden is being re seeded. This Lovely home is sold fully furnished with air conditioning,new double glazed windows and patio doors, electric remote control security blinds and is ready to move in.